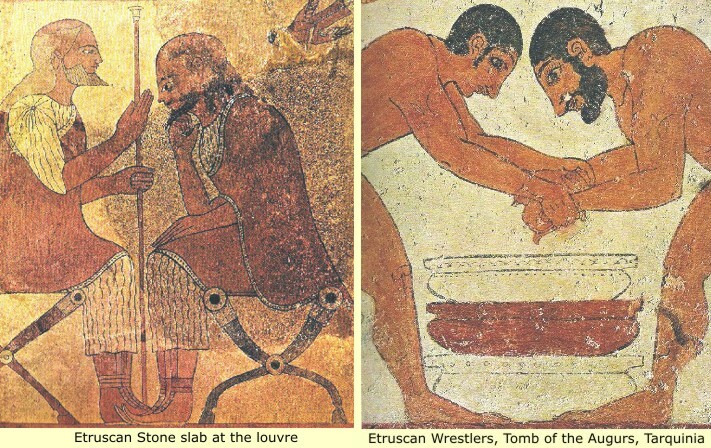 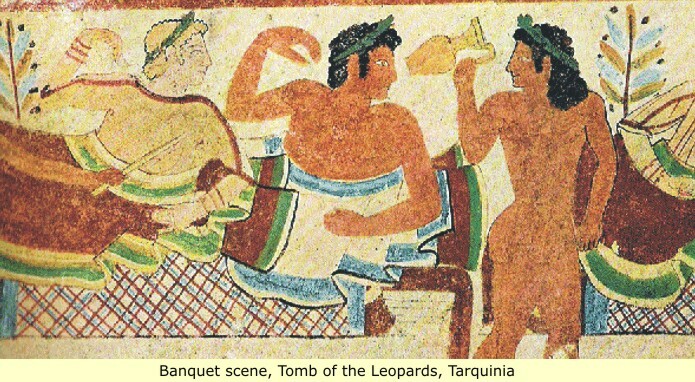 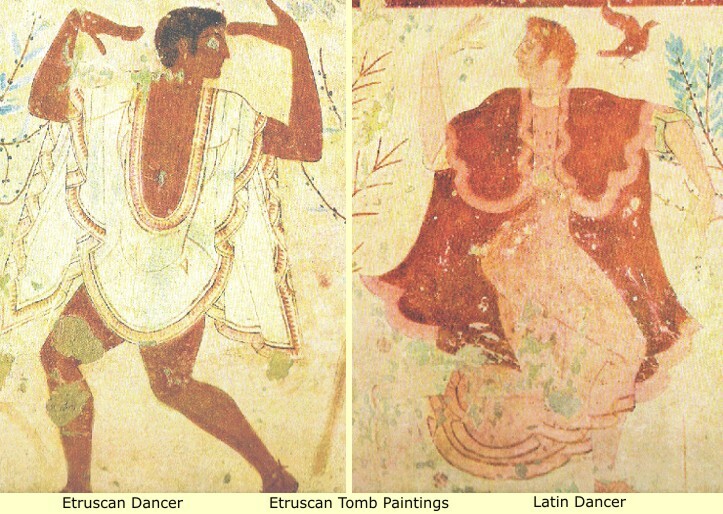 Etruscans, like Egyptians, painted their burial chambers with scenes reminiscent of fond activities during life, and scenes hopeful of a pleasant afterlife. 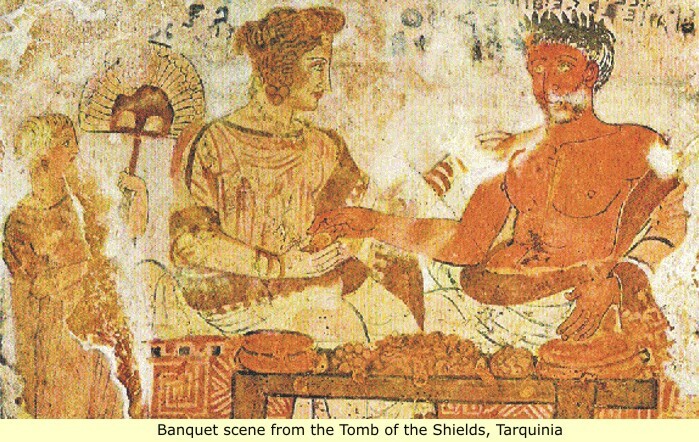 The Tomb paintings also suggest; that sometime after Latin conquest of the Etruscans, relations between the two peoples became normalized. 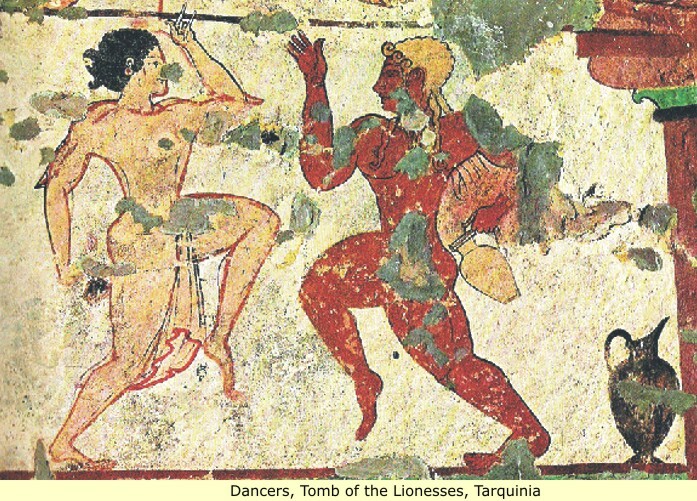 This is indicated by the prevalence of later bi-racial tomb scenes, as well as the changing appearance of the Etruscans themselves. 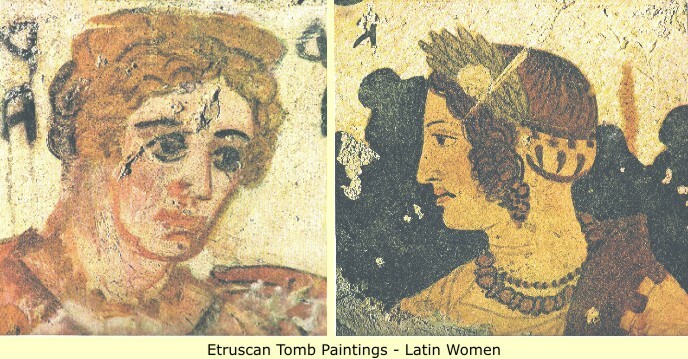 As evidenced by tomb paintings and sarcophagus' bi-racial marriages were common.